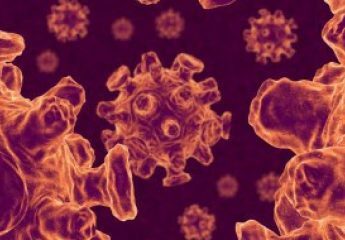 Health officials in New York are making sure people are aware that an Australian tourist with measles visited multiple hotels and the Metropolitan Museum of Art earlier this month. Measles is incredibly contagious and is spread through the air via coughing and sneezing. According to the CDC, the virus can survive in the air for up to two hours. Symptoms usually begin 7 to 14 days after exposure and may include high fever and cough, followed by a rash. Measles may cause serious complications, like pneumonia and encephalitis, which are more likely to lead to death in young children. The vaccine’s effectiveness rate is around 90%. But the world is running out of antibiotics, according to a WHO report. Certainly I wouldn’t wouldn’t worry about it light of any possible impending pandemic. Tuberculosis, by the way, is spread via the air and affects your lungs. It used to be the leading cause of death in the 20th century. Then came antibiotics. What happens without them? And what happens without the antibiotics used to treat even more common infections like UTI’s? Well, with everything else going on, let’s hope we don’t find out.